Any foods that have a lot of pigment in them like berries, beets, soy sauce, coffee, kale, curry, etc. will stain your teeth. This is not the biggest problem in the world as it is purely cosmetic, but you’d do well to drink water after eating pigmented foods to save your pearly whites. If you’re scared to get it on white clothing, be scared to leave it on your teeth for too long as well. Crunchy things are a personal weakness of mine, but there are two main problems with this category of snacks: First, some crunchy foods like granola, grape nuts, and corn nuts are hard enough that they can break your teeth. Second, crunchy foods like potato chips have a lot of starch and the fragments tend to get caught in your gums. This is a problem if your hygiene isn’t great. My mom got a fruit dehydrator one day when I was a kid and tried to push her dried fruit on me as an alternative for candy. I thought I hated dried fruits because of this, but maybe I also had future profession vibes going on too because dried fruit is pretty hard on teeth. 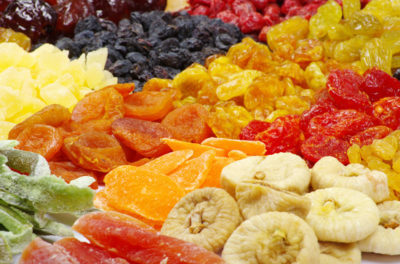 When fruit is dried it essentially becomes a sticky glob of concentrated natural sugars. It doesn’t matter if it’s natural or not, sugar is sugar and it will still give you cavities. Here’s another weakness of mine. I could eat lemons and oranges all day, but they are very acidic and can erode teeth if eaten excessively. If you’re a citrus fan, eat in moderation and drink plenty of water. Ice, technically a crunchy food, belongs in a category of its own. It’s not sugary, it’s not acidic, it’s not sticky, and it’s composed of water, something that’s actually very good for your teeth. Many people even believe that crunching on ice is somehow beneficial for dental health. If you don’t want to have a dental emergency at some point, quit crunching on ice. Although alcohol isn’t strongly acidic or sugary itself, my patients that consume alcohol frequently are prone to cavities and gum disease. The reason is because alcohols dry out the mouth by reducing salivary flow, and dry mouths are very acidic. I see similar problems in patients that rinse frequently with alcohol-containing mouthwash. The burning sensation is all placebo; it isn’t doing anything for your breath. Your mouth will be better off if you avoid alcohol altogether. Sticky, sour candies provide three main ingredients in the recipe for cavities: acid, sugar, and stickiness. I once asked a single guy patient if he had a girlfriend and he replied “honestly, the only girls I’ve spent any quality time with this summer are Amy, Jen, and Mariah (dental assistants in my office).” Sticky, sour candies were probably the reason for this. If you want to spend a lot of time with a cute dental assistant, there are better ways. You’ve got three dangers here: the husk, the soft part, and the unpopped kernels. Popcorn husks are one of the easiest foods to get stuck in your gums. I’ve seen some pretty ugly lesions that started as popcorn husks stuck in gums (usually aggravated by aggressive toothpicking). The soft white part of popcorn can cause cavities as because it contains starch. Perhaps the worst of all of these popcorn dangers are those unpopped land mines though. Many molars have met their end when inadvertently crashing down on hard kernels. Be careful when you eat popcorn and carefully clean your teeth and gums after you do so. Gatorade, Powerade, Red Bull, etc. are all horrible for your teeth because they are extremely acidic. Drink some water after downing these beverages. Some patients have caused bulimia-like damage to their teeth from consuming acidic drinks too often. Soda is sugary, staining, acidic, and sticky: the quadruple entente against your teeth. Even if you drink diet drinks that aren’t dark in color, you’re still bathing your teeth in acid. I’ve written about this before, but a lot of Utah’s adult onset cavities probably have our state drink, Diet Coke, as a contributing factor.